After a long hiatus. I've come back in need of some advice. As of recent I've started doing skirmishing at my local site, and began getting signatures towards a membership. I've started looking at a couple of guns under the £300 range. First is the Cyma CM032 EBR. I've taken quite a fancy for the EBR, but I'm sure every gun enthusiast has. Every review I read is rather mixed, like its too heavy, or the quality of metal is poor and cheap. I still have not lost all faith in this gun, as some say its a good platform to upgrade and work with. Secondly is the Ares TAR 21. Some people rave about this gun. A lot shun it due to the poor quality internals, gearbox jamming and selector getting stuck. I don't really want a M4/M16, nor a AK, as a lot of people use them. I'm a good fan of Bullpups. What's every ones two cents? Is the Cyma EBR worth a shot? Or try some thing else? EBR is front heavy. After a few hours carrying it you will wish you had bought something else. Tavor - if you get the cheap plastic version (can't remember the make) you will be disappointed. Bullpups - SA80 all makes seem to be good out the box. Famas - Best gun ever! (honestly it creaks, doesn't take M4 mags without modding, it's pretty much all plastic and getting a new motor can be a pain but the gearbox is the best out there but it's still in my top ten AEG's to buy). TM MP5A4 - takes a big battery in the stock and adding a 1J spring will make it almost perfect. TM Type 89 - not very popular on most sites which is a shame as it's a pretty good AEG with a mechanical 3 round burst. M14's are very good internally and Cyma have a reputation for very good hop units. The issue is that they are long and long=heavy. I must be the exception as I hate the EBR but I love the old school M14. Had you considered an M14? They are lighter by about 1KG and the weight is not at the front so much. Mightyjebus, Ive noticed the TM FA-MAS has made a come back, Its one of my upper most favourite guns. Only problem is rail space, optics, and ive herd getting parts for the gearbox is hard, plus it has a weak motor? Ill keep it on my list. Russe11, I understand the Plastic stock M14's are lighter, and without a doubt better for days skirmishing. But I just adore the look of a EBR version. I'd rather have an EBR. I'd rather have an EBR. I saw a lot of mixed reviews for the Cyma as well which is why i went for the G&G after selling a few things and having some extra disposable money. Though like others have said the normal M14 by TM and also G&Gs GR14 appear to have more positive reviews than the Cyma and potentially more compatible for upgrades, should you want to upgrade the internals, though i kept finding mixed information on how compatible the internals really are and i am no techie on gearboxes/motors so not 100% sure who knows what they're talking about on that. If you have already decided on the EBR why bother start the thread? Get the EBR it's a good gun. Not necessarily. Because of the mixed reviews I wanted to see if any one here had some first hand experience with them, and gather opinions on what people would suggest to start with. Its all good and dandy looking at video reviews, but 90% of it is companies trying to sell the gun, and only showing the good points about the AEG. Not the actual issues and hiccups you come across during ownership and skirmishing. You can look at the Ares TAR 21 for that matter. Lozart had one IIRC, PM him. 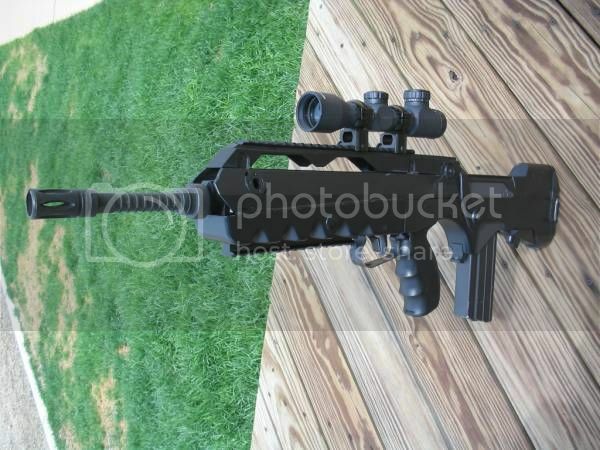 Secondly is the Ares TAR 21. Some people rave about this gun. People who've just bought one, generally. Only 3 months down the line do they realise what a horrible mistake they've made. Whats peoples opinion on the V1 gearbox? Any motors I can use to upgrade it? 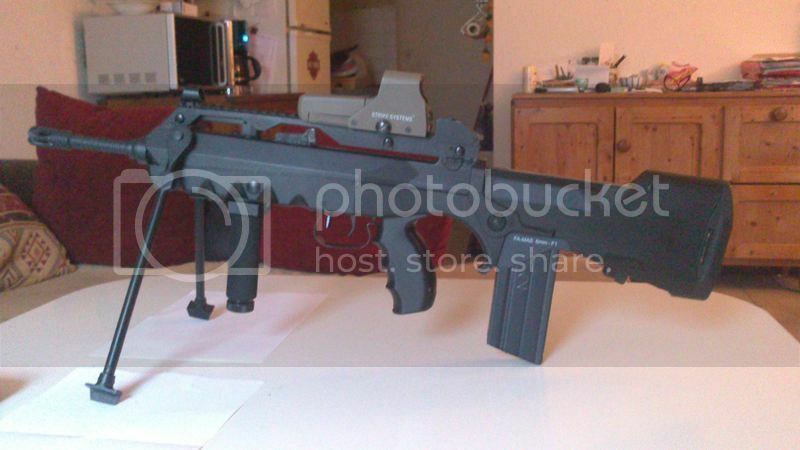 Two things to keep in mind with the TM FAMAS 1. a lot have happened since "bestest gun" so dont get it based on that and 2. its gonna be about the most plastic feeling thing you ever held, it feels so bad and it literately creeks. HOWEVER it is suppose to be a good gun so keeping my first point in mind and if the second does not bother you - go ahead! Pretty much this, especially the creaking. It's like your gun is a haunted house. I did have a JP FA-MAS I got second hand once. It was a bit buggered and used and abused by a young kid. Tried my damnedest to repair it but it was too far gone internally. I understand its plastic feeling and creaking. That wont bother me too much. Still kinda wished I kept the remains, would be useful to do the modification above. And by going by your signature, I see why. What about aftermarket parts? Will no parts from other gearboxes fit? 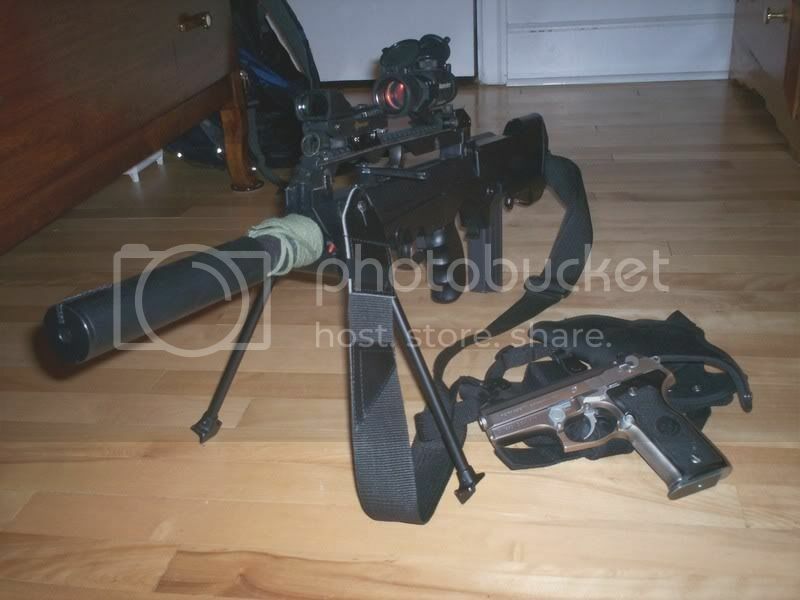 Or is it a case of buying some ones broken gun for spares? Edit TM famas had it hayday, but now is considered a relic ...... Which is a shame considering it was the first AEG!!! Honestly, I find it rather odd they're still manufacturing it in apparently almost the exact same way that they have been since it was first released. Or I assume they're still making new ones, I still see them at retail sites and it seems very unlikely they've still got stock left from that long ago. Either way, it's probably about the only decently skirmishable FAMAS on the market but it's still antiquated and frankly obsolete on the externals especially. Left stock the old (pre recoil) TM AEGs do just run and run forever typically, but they're often still rather pricey overall and externally the G&G combat machines are a fair bit nicer than the FAMAS to my mind. Even the other old TM guns like the plastic bodied AKs and ARs are quite a bit better than the French rifle in terms of the receivers etc. Im quite surprised that its probably one of the, if not, most popular Bullpup on the market, yet no newer version has been created. Where are you playing? I think I've seen maybe one (could've been the clone) being used in my decade airsofting. Seen an awful lot more ICS L85s, G&G F2000s, TM/CA AUGs and other bullpups than I have TM FAMAS's (famii?). Either way it sadly seems to be because the production runs aren't huge and the factories quite often retool to produce the next model. There's a fair amount of interest in a new G3 supposedly but I guess we will just have to wait for WE to remember that they are meant to be producing one. I reckon you will see a new famas before too long. The updated G2 to work with the felin system is a nice looking bit of kit. Would be surprised if none of the airsoft manufacturers are looking at doing one. Would like to see an airsoft version of the Radon bullpup as well.